The formulation of each color is modified individually to compensate for the inherent differences in the working characteristics of pigments. The result is an even consistency across the entire palette of colors. 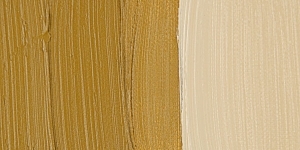 Yellow Ochre provides artists with earthtones from cream to brown. It has good hiding power, produces a quick drying paint, and can be safely mixed with other pigments. Its transparency varies widely from opaque shades to more transparent ones, which are valued for their use as glazes. If gypsum is present, Yellow Ochre is not suitable for frescoing. (See Brown Ochre, PY43.) PY42 is made from synthetic iron oxides. PY43 is made from natural iron oxide. 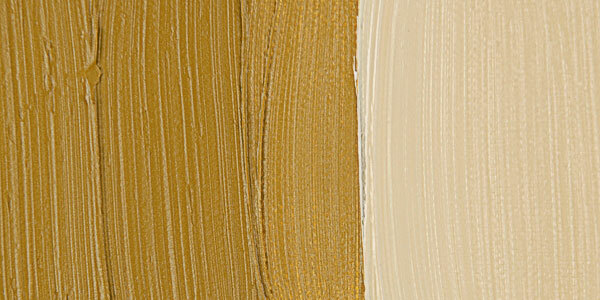 Yellow Ochre has excellent permanence because ochres are some of the most permanent pigments available. Yellow Ochre is non-toxic unless it contains manganese. Ochre comes from the Greek word ochros , meaning pale yellow . It was one of the first pigments to be used by human beings, and evidence of its use has been found at 300,000 year old sites in France and the former Czechoslovakia. Chamois, Iron Yellow, Mars Orange, Mars Yellow, Minette, Ochre, Sil, Yellow Earth, Yellow Oxide. Varieties of Yellow Ochre include Brown Ochre, Flesh Ochre, Roman Ochre, Spruce Ochre, and Transparent Gold Ochre. ® Holbein is a registered trademark.